I guess you could say that I am the brainchild behind the notion we could build a company around a number, whether that is a good thing or not is yet to be determined. Leading the charge for fresh designs, cool pics and ideas to expand the reach of LAT45 all while being a husband, father, firefighter and additional small business owner keeps me on the move. Next to every lucky man is a great woman and this one just happens to want to stay on the ride with me to see where it will go. A success in her own right, Emily is a dedicated wife, mother and education professional with high reaching achievements. If you see the pics, she was there. If you like the design, Emily approved it. As I said, she is great! Our little bundle of joy admittedly plays a rather minor role at this point, minus the numerous pictures, fleet feet to chase and an unquenchable thirst to be outdoors no matter the weather. As her title states, Head Of Inspiration, she inspires us to do more, be better and live fully. The newest member of the team seems to view the position as a casual job. Always bringing a sense of calm to the world around her and a smile to unsuspecting situations, she fits the role well. 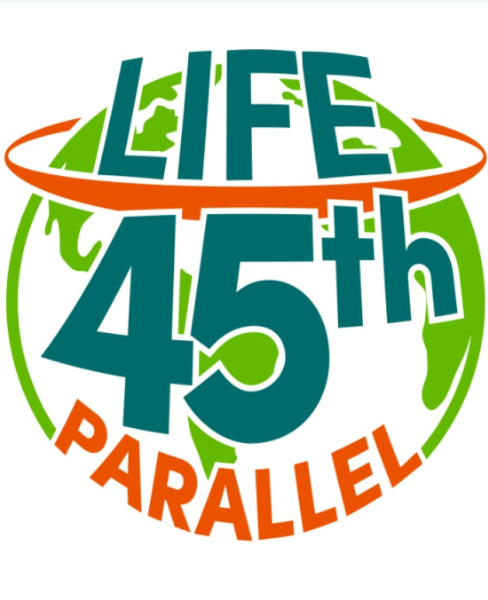 I have to give credit where credit is due, The idea for Life Above The 45th, LLC came about from a good friend that visits regularly. He always commented on the sign noting that as he put it, he had 'gotten closer to the North Pole and was Probably now somewhere in Canada.' Well, he only made it to Petoskey but it was enough to spur the idea of the uniqueness of our little spot on the globe and that we could share it. 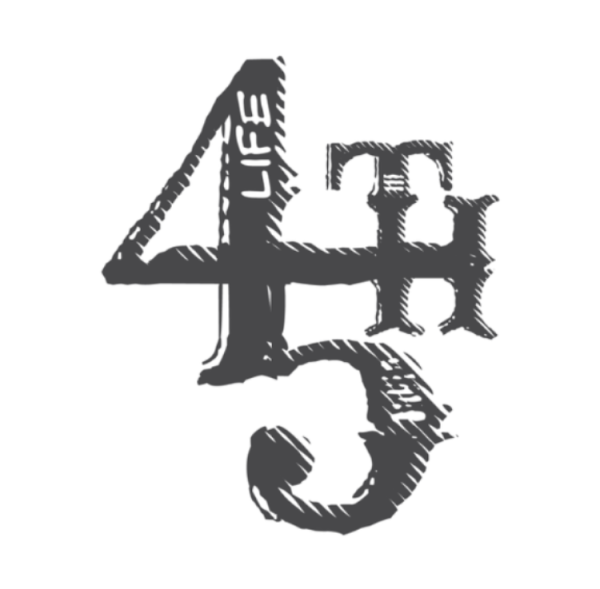 We at Life Above The 45th feel that experience will surpass the material good everyday. Through this belief it is our determination that we wish to share this love for all things that bring about growth within with the rest of the world. Along the way we hope to sell a few tee shirts and stickers, hear some great stories and be a part of many more ourselves. I have a lifetime of experience living and that is what it is all about for everyone here; simple: live, learn, enjoy, repeat. Please look around, like us on Facebook, find a retailer, go buy some goods and enjoy Life Above The 45th!